U.S. officials are concerned that al Qaeda in Yemen has operatives in place to strike at U.S. targets beyond aviation concerns. Washington (CNN) -- Information gained since the attempted airplane bombing on Christmas Day has U.S. officials concerned that al Qaeda in Yemen has "trained and equipped ... viable operatives" to strike U.S. targets -- including targets unrelated to aviation, a reliable source familiar with the investigation told CNN Thursday. "I have not seen people this ramped up on the terror front like this for probably two years," the source said. "The palpable level of angst is incredible." Federal officials said there was no imminent threat, but the source said the investigation into the electronic communications associated with Umar Farouk AbdulMutallab, the 23-year-old Nigerian charged in the botched attempt to bomb an airplane, initially took officials in different directions. Now, the source said, "the spider web" is starting to come together. Officials believe there are viable operatives -- described by this source as "people who are trained, equipped, resourced, with instructions -- maybe not with a 'go order' but all of the pieces are in place." The source added that officials don't know where the operatives are but believe that there are "a lot" of them. This source said investigators have at least seven names. A second source said officials have identified at least some of the operatives but would not give numbers. The first source did not believe a lot of new information had come in since Christmas, but said that, as officials followed threads, information that previously did not appear to be significant now appears to be. The concern extends beyond aviation, and AbdulMutallab has told investigators the other operatives were trained to attack more than planes, the source said. All of the "normal vectors" are on the table -- trains, etc. -- but the belief is they would like to attack planes just to prove that they can, the source said. The second source, a law enforcement source not authorized to speak for attribution about the investigation, also said the threat extends beyond aviation. Also Thursday, Department of Homeland Security Secretary Janet Napolitano announced that aviation security was being tightened to include enhanced random screening, additional federal air marshals and the addition of names to the terrorist watch list. The source did not say the security steps announced by Napolitano were connected with any threat from al Qaeda in the Arabian Peninsula. 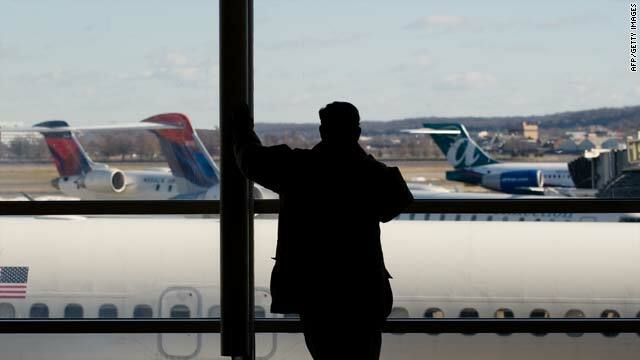 A source without access to intelligence said aviation security was "ramping up pretty hard. We don't do that for just anything." He said efforts were being made to put air marshals on all inbound flights. Separately, a U.S. counterterrorism official told CNN that "the concerns have intensified since 12/25. There is every reason to believe AQAP is planning attacks against the U.S. There are people willing to assist them." "There is a concerning stream of information related to AQAP and its intentions that we are taking a very close look at," the official added. The report about "viable operatives" came a day after two senior officials told CNN that the United States was monitoring a "credible threat" from al Qaeda in Yemen against the U.S. homeland. On Wednesday, one official said the threat was general in nature and a second said it was not a case of "we connected the dots to something imminent."